Mile-a-minute, a noxious weed that stays true to its name, grows rapidly and kills any vegetation in its path by smothering it. MAM is typically found in disturbed and unmaintained areas, or at the edges of roads and forests. 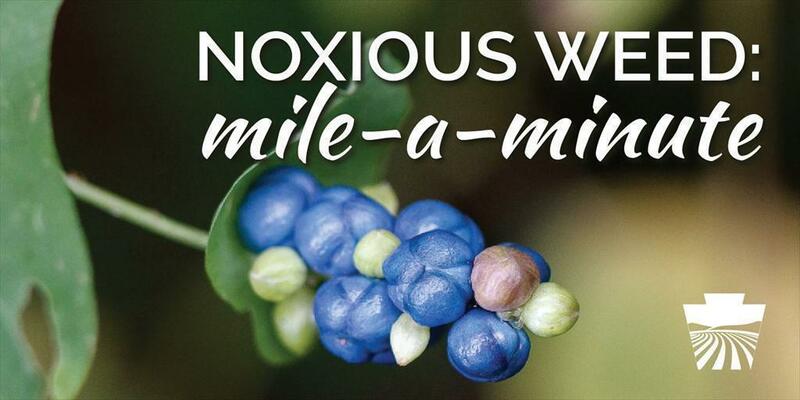 Does this noxious weed sound familiar to you? Here is what you need to know to help manage and control MAM. MAM has been found in 49 of 67 counties throughout the Commonwealth. Over the past 10 years the Department of Agriculture has dispersed weevils, stem-boring insects, as a measure of biological control for MAM in Pennsylvania.